Our bridal shower favors are unique and will be a hit! 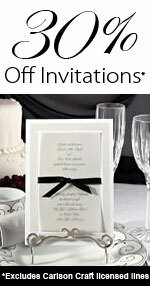 We carry bridal shower invitations from Carlson Craft! Your guests will love these because they are beautiful!